The bibs are up and the eBibs 2.0 contest has ended. 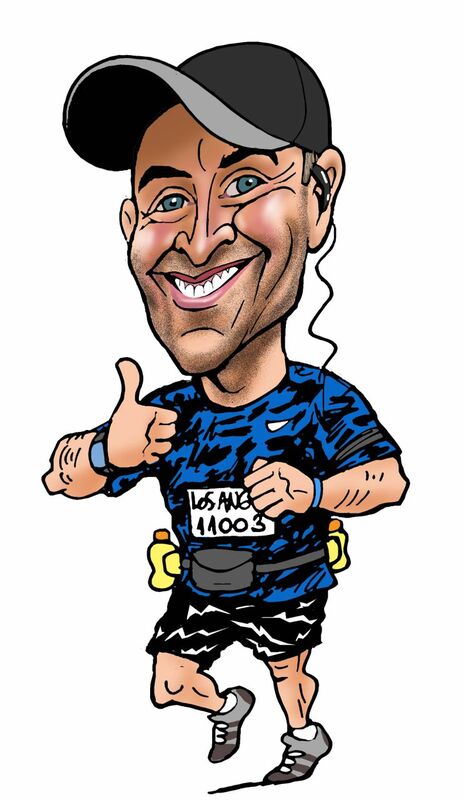 Thanks for ilovetorun.org for sponsoring the contest. 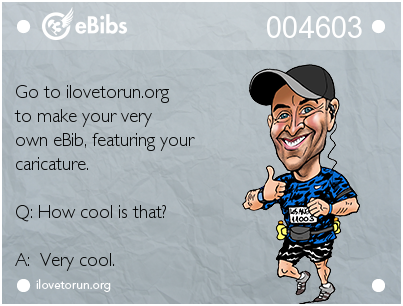 And a big round of thanks to everyone who entered… some really great eBibs. I wish I could give every one of you awards; it was really tough to decide. But with very little further ado… ado ado ado ado. Thanks to everyone who entered “The Big Squeeze Strikes Again” contest. And whether you put your socks on left foot or right foot first (or for the life of you can’t remember) we all manage to get dressed eventually. Congratulations and here’s wishing everyone comfy calves in their next race. And be sure to check in to Tripping The Kenyans later this week as I prepare for my journey to run 3 half marathons in 33 hours. I hope everyone had a good Halloween weekend and enjoyed that extra hour of sleep on Sunday morning (sometimes it’s nice just to “fall back”). It’s time for another giveaway at Tripping The Kenyans and it’s a good one. 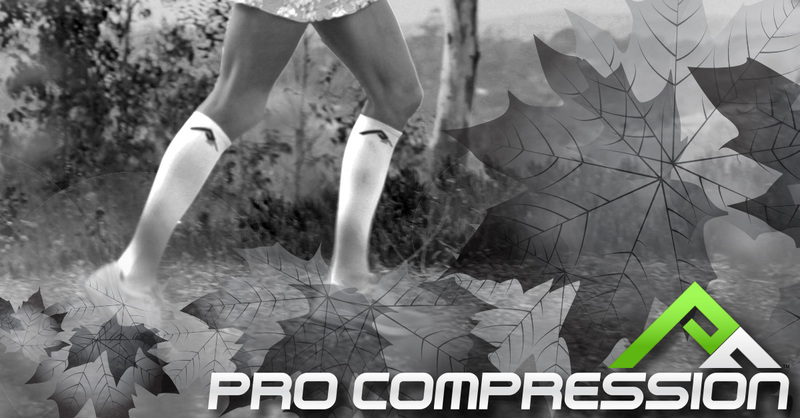 The fine folks at PRO Compression want to deck you out with a FREE pair of marathon compression socks or calf sleeves. A big round of thanks to all of you who entered the “Canyon City Cha-Cha” contest. So without further ado… okay, maybe just a little more ado. Ado. Ado. Enough? For those of you who didn’t win, you can still save some bills on registration. Each of you is eligible to save up to $10 on November 15th’s inaugural running of the REVEL Canyon City Marathon/Half Marathon. I had a blast running the REVEL Big Cottonwood Half Marathon in Salt Lake City back in September. It was an absolutely gorgeous downhill mountain course. And not only did I meet up with some good friends (and made some new ones) but like many other runners, I had a fantastic run and achieved a PR. The REVEL race series is preparing for the final race in its 2014 season and it’s going to be a fun one: The inaugural running of the REVEL Canyon City Marathon/Half Marathon on November 15th in Azusa, California. Here’s your chance to be there from the start and become a legacy runner. 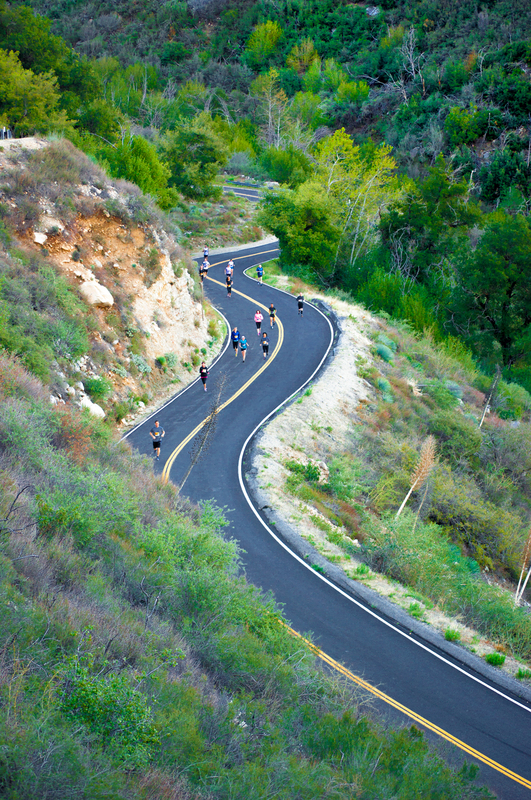 The REVEL Canyon City Marathon/Half Marathon takes runners from the mountains of the Angeles National Forest down to the foothills of Azusa. A hearty thank you to all who entered the “Salt Lake City Shuffle” contest. 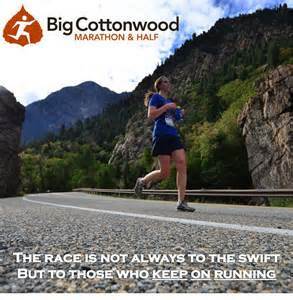 I’m looking forward to running Big Cottonwood and seeing which of you gets to join in the festivities… gratis. Just join “Team Tripping The Kenyans” for either race by clicking below and you automatically save $5 off of your entry (plus an additional $5 Facebook discount is available at checkout). 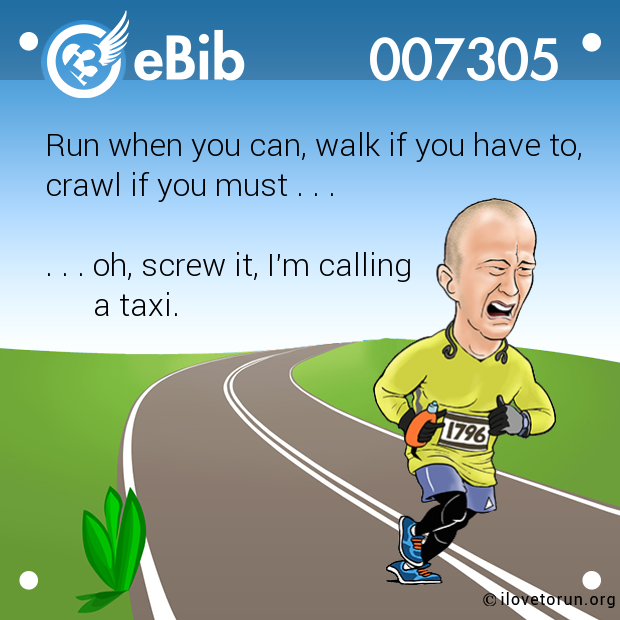 Have a great Friday… and Run on! Many thanks to all of you who entered the “Race in My Place” contest. And the winner of a FREE entry into the REVEL Rockies Race is: ABBIE SOLBERG. But don’t worry, there are more contests to come. 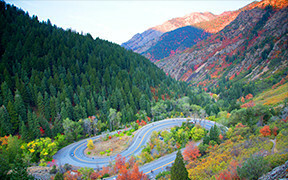 I’ll be giving away a FREE entry to the REVEL Big Cottonwood Race (Sep. 13th in Salt Lake City) and the REVEL Canyon City Race (Nov. 15th near Los Angeles) in the weeks to come. 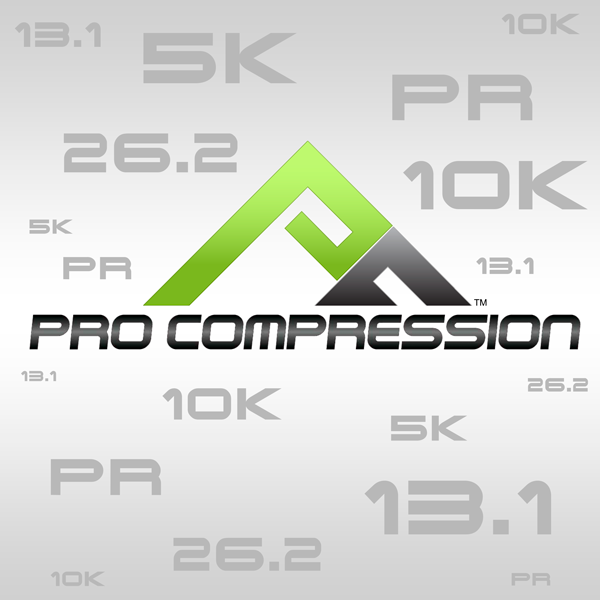 In the meantime, you can join Team “Tripping The Kenyans” and save up to $10 off each entry fee. Have a great Thursday… and Run on! *NOTE: Okay, I know that “informated” isn’t a word, but rather a typo I just made. But doesn’t it look like it should be a word? Okay, sometimes my brain gets way ahead of my fingers (not that I’m the greatest typist to begin with… I’m fast, but not accurate) and I come up with some wonderful typos that can confound even smartest of spellcheck programs. So in honor of my fingers having a mind of their own, I’m going to keep that word and use it occasionally. How’s this for a definition? 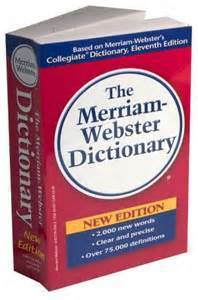 Informated (verb): to haphazardly impart one’s supposed knowledge to others in the hopes of broadening their understanding on a topic or at least making them smile over use of such a silly word. Who wants to run a “mile high” marathon (or half marathon) in the “Mile High City”? That’s right, my scheduling conflict is your benefit. 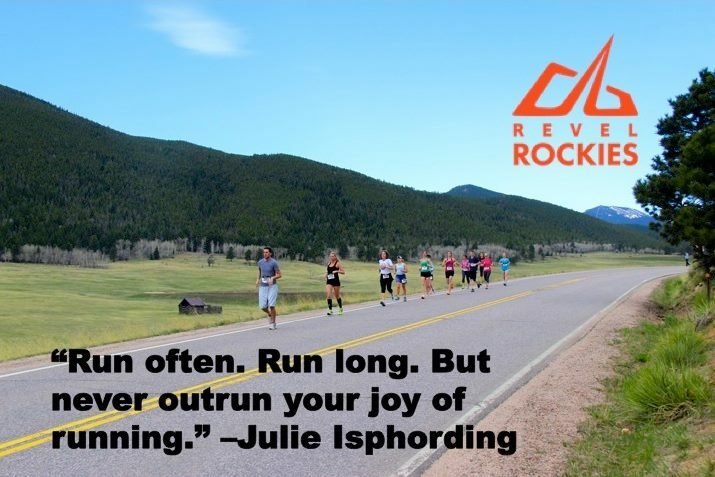 Unfortunately, I won’t be able to run the REVEL Rockies Marathon/Half Marathon on August 17th in Denver, Colorado. So I want you to run it in my place. 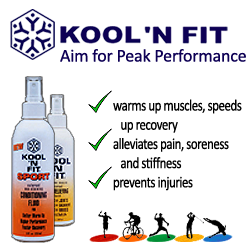 The great people at the REVEL Race Series are allowing me to give my entry to the REVEL Rockies race to one lucky Tripping The Kenyans reader. And this is one cool race. Q: What’s better than running a half marathon or marathon? A: How about running a half marathon or marathon that features a “fast as hell” downhill course? And how about a “scenic” fast as hell downhill course? Q: What’s better than that? A: Saving some money (aka cash, dough, coinage) while running a scenic, fast as hell, downhill half marathon or marathon. A: How’s $10 grab you? Or better yet, how about a chance to run for FREE? 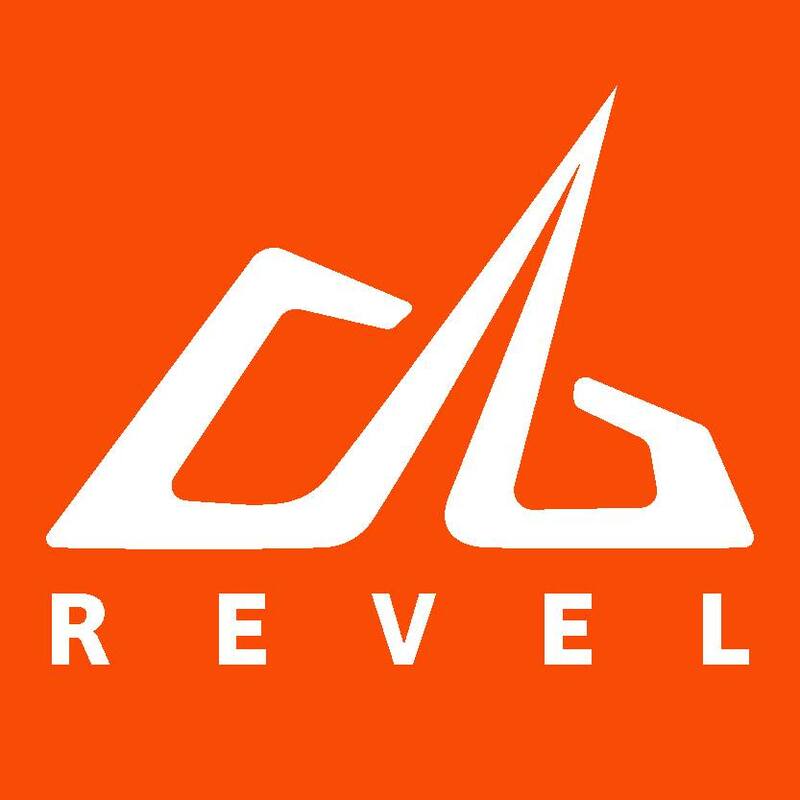 Last week I was named one of the Revel Race Series ambassadors and it’s time to get the ball rolling… downhill. 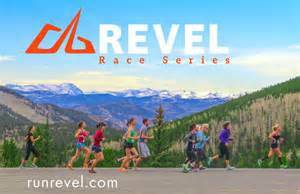 Click on the image below to learn more about the REVEL Race Series and its trio of races (REVEL Rockies, REVEL Big Cottonwood and REVEL Canyon City). I’ve just created team “Tripping The Kenyans” for both the REVEL Big Cottonwood and REVEL Canyon City races and here’s you chance to sign up for a team too. By signing up for a team, you can save $5 off of the price of registration. And coupled with the additional $5 Facebook discount available during checkout, you can save up to a total of $10 (pretty sweet). 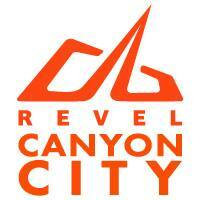 And be sure to sign up before August 1st to beat the price increase on the REVEL Canyon City race. And it’s worth noting that the REVEL Race Series does NOT have any of those annoying registration/convenience/nonsense fees that many other races tack on to hide additional costs. So talk to your friends/running group and see about starting up your own team (and coming up with a cool name). YOU SAID SOMETHING ABOUT RUNNING FOR FREE? In addition to offering team discounts, I wanted to let you know in the upcoming days/weeks I’ll be running contests to give out a FREE registration for each of the three REVEL races. Join a team, save some cash… and Run on!